dani johanna is officially celebrating its first birthday today! Wahoooo! Thank you all for being such lovely followers and sticking with it during my times of disappearance. If it wasn't for your support, this blog still wouldn't be here today! 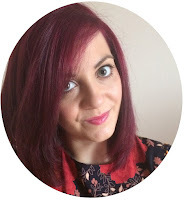 My blogging journey first began back in October 2010, when I created one for my Applied Project (equivalent to a dissertation) in my final year of university. I enjoyed it SO much that I decided to continue it but at a different URL - this one you're looking at right now! Which is why I see my blog as 1 today. My first blog (based on Tumblr) was completely different to what it is now - it was all fashion based, but mainly news, interviews, event reviews... A proper journo blog, you could say. You can see it here if you really want to, and you can tell just how much this blog has changed and grown through that time (along with my hair). Happy birthday to your blog, lovely! Can't wait to see the new layout, I'm a bit of a web design nerd (: I love your wishlists and generally 'chatty' posts.